I would like to inquire about your property Bayut - DUB183350_L. Please contact me at your earliest convenience. 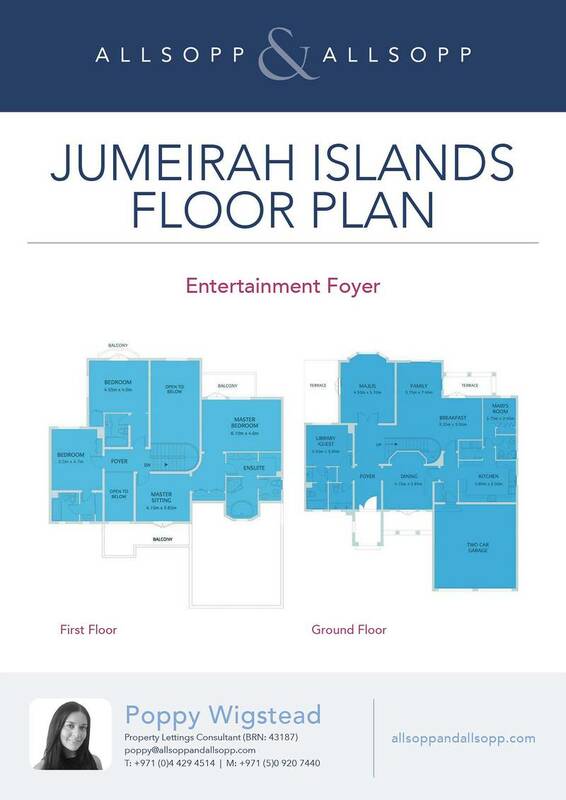 Allsopp & Allsopp is very proud to offer you this stunning extended 4-bedroom villa, within the popular and very exclusive community of Jumeirah Islands. On the ground floor there is a large open plan living area with a further extension to the living space, separate dining space, private kitchen, guest bedroom with en-suite and guest powder room. This light home is spacious in size and situated in the best positioned cluster of Jumeirah Islands, the views from this villa are truly breathtaking and unique. For further details or to arrange a viewing appointment please contact our Head Office on +9714294444 or visit our website www. allsoppandallsopp. com.